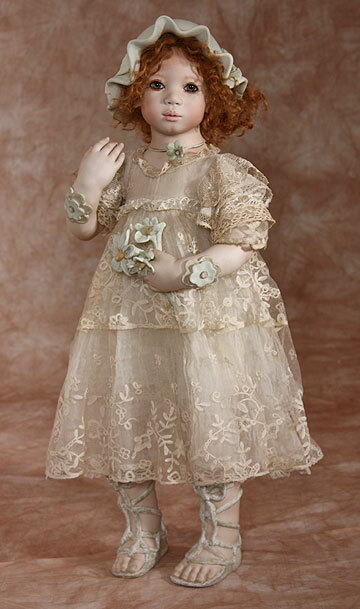 Annette's sweet, little Nele is a striking 21 inch porcelain doll who favors a girl from Belgium. 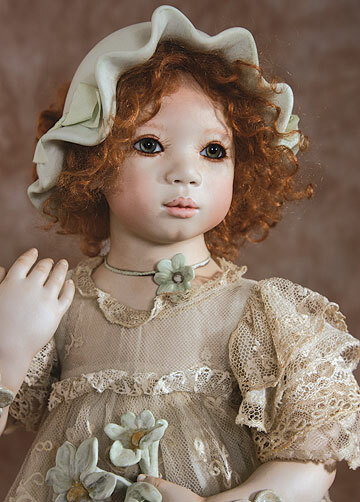 Nele's delicate hand-painted expression and fair complexion is a wonderful contrast to her mohair wig of curls. 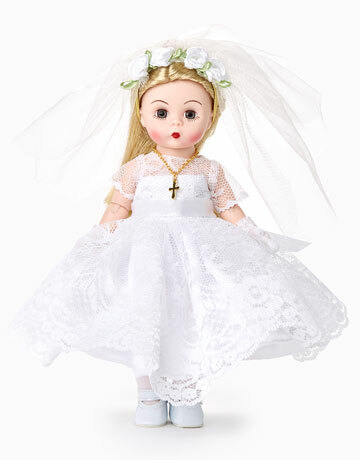 One-of-a-kind mouth-blown German glass eyes add the perfect touch of life to this charming doll. Designed and sewn from delicate French and Belgium lace, Nele's dress is lovely. Annette also handmade Nele's sandals, hat, necklace and bouquet of flowers from porcelain. 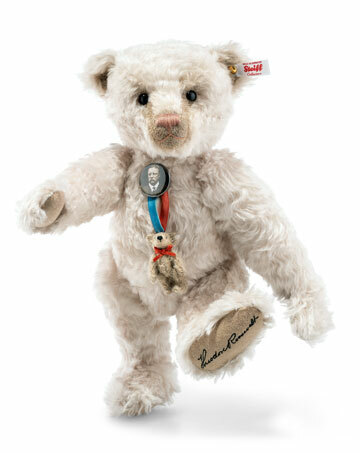 Nele is a porcelain Artist's Proof from 1997.Nele and Emmi are two girls from Brussels, Belgium. They're wearing dresses made of antique lace from France and Belgium. They're incredibly precious - it's almost impossible to come by these days. My lifelong pastime has been to buy and collect antiquities. No matter whether they were fabrics, lace, borders, jewels or anything else. 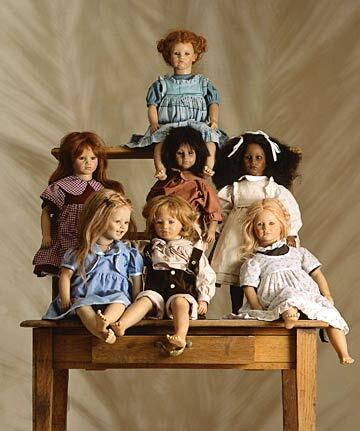 - Annette HimstedtAbout Annette Himstedt's porcelain dolls - Porzellan KinderGerman artist Annette Himstedt created her first dolls with porcelain and it remained her material of choice throughout her career. She always told us that porcelain enabled her to achieve the nuances of realism that captured the character and personalities of her subjects. In effect, she was creating portraits in three dimensions. 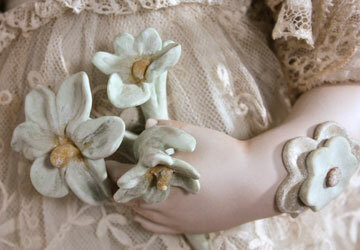 Additionally, Annette found a sense of permanence using porcelain - the color remains true over time and, with care, a porcelain doll will last for centuries.